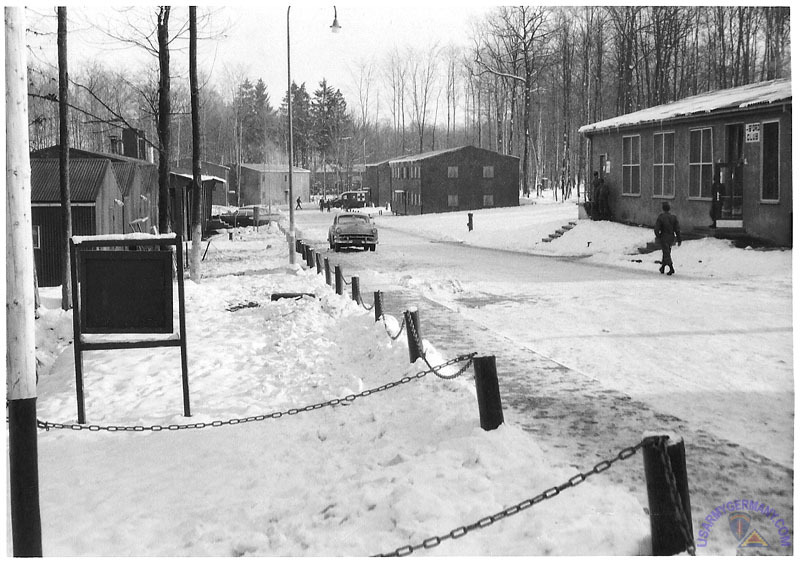 Battalion street on Siegelsbach Depot, Dec 1958. If you enlarge the photo enough, you can read the sign on the first building to the right, "9th Ord Club." This was a PX, Cafeteria, and snack bar. On weekend nights we had movies there. On Sunday mornings the cafeteria opened for breakfast and then it closed when a chaplain arrived to hold non-denominational church services. Most of the time we played cards there. I believe the end door was the barber shop.